The 2019 season is inching ever nearer. When we’re closer to January, we’ll put out our annual predictions. 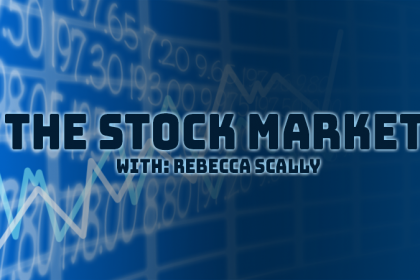 In the meantime, we bring you 2019 hot takes, where our senior staff airs its most controversial opinions and predictions for the coming year. Disagree, or have a hot take of your own? Let us know on social media! Bowling Green is the most creative and one of the most artistic teams out there. From creative choreography to unique skills (a Shang?! ), Bowling Green is a fascinating team to watch. Catch the Falcons in action if you can this year. Teams that repeatedly add gymnasts a year early will end up regretting it. This strategy works out sometimes—Mollie Korth and Alex McMurtry are good examples—but if not done carefully, it can end up depleting future classes and forcing top teams to recruit at the last second. 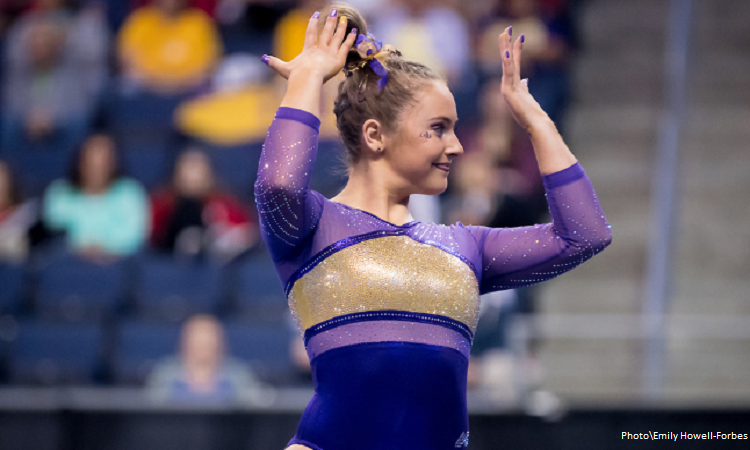 LSU in particular has dug itself into a hole by bringing Christina Desiderio on in 2018, leaving no option but to bring Bailey Ferrer forward and leave a hole in the 2020 freshman class that it might fix by pulling yet another early graduate from 2021. (Phew.) Even more worryingly, January additions often take a few months to settle into college competition, wasting precious eligibility in the process. Meredith Paulicivic’s floor choreography will be some of the best. The Ohio State coach known for her choreography is entering her second year at the helm for the Buckeyes. 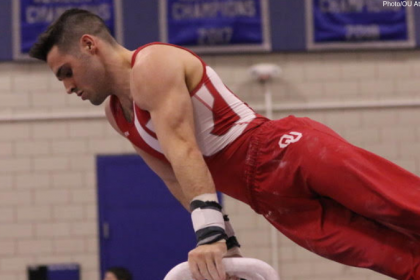 Based on teasers we’ve seen, Ohio State floor will be must-watch gymnastics in 2019. Illinois will have a strong vault rotation. It’s a bold statement. The Illini have struggled on vault for several years. With training videos teasing two new Yurchenko one and a halfs from Rae Balthazor and Haylee Roe, plus explosive incoming fulls from Shaylah Scott and Morgan Bixler, vault could be looking up. Maybe the most exciting addition is freshman Mallory Mizuki’s Tsuk half. We’re ready for Oklahoma’s dominance in MAG to come to an end. We all love a dynasty, but who doesn’t also enjoy watching underdogs realize they’ve done it? Is it likely Oklahoma will be dethroned? No. But this is gymnastics. Anything can happen. SEMO will climb in the rankings. Thanks to renewed energy from new head coach Ashley Lawson and a strong incoming class, SEMO is poised for a comeback year. The Redhawks have looked strong in training updates, and we can’t wait to see what they’ll bring to 2019. Sure, they’re more difficult and they’re rare, but that doesn’t mean we need to hand out 10.0s like we’re Oprah. With a number of vaulters who have shown doubles at some point in recent memory (Amanda Elswick, Taylor Houchin, Alicia Boren, Rachael Lukacs, Margzetta Frazier, Aspen Tucker, Sydney Snead, MyKayla Skinner and Kaitlyn Yanish), we’re hoping scoring on the skill becomes a little tighter. Yale is going to be one of 2019’s most exciting up-and-coming teams. Its trio of 2019 freshmen is potentially game changing, especially Kendal Toy, a late switch from Washington. 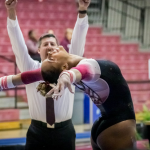 The team is already on the rise, having set a new program and Ivy League record in 2018, and this year it could pass Lindenwood and TWU at the top of the USAG standings. Whether a bar routine has a same-bar release has no bearing on its difficulty or its worthiness of top scores. A big Tkatchev is a lovely thing to have, but a Maloney to Pak set can flow beautifully and be plenty difficult. Just ask Lauren Bridgens, who scored a 10.0 without a single bar release, or Ivy Lu, whose transition-driven set was a perpetual 9.975. Plus, it doesn’t take a genius to realize that a routine with a D + D transition combination and a D dismount is actually more difficult than the Jaeger + overshoot, blind full + double back routine that is so common in NCAA. Florida, not Oklahoma, is the biggest threat to a UCLA title defense. Have you been watching Florida’s Instagram stories? You should be. Expect 10.0s from Trinity Thomas this year. We’d rather see a well-performed and nailed Yurchenko full than a death-defying one and a half. Yeah. We said it. Remember that weekend last year when it looked like everyone’s knees were going to explode? The week when we saw Dana Duckworth march down the vault runway to sort out the disaster? Let’s avoid vaults like that. Knees are best kept in one piece. 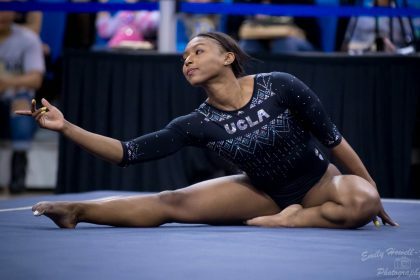 Moreover, UCLA won nationals after a full year of hand-wringing over its number of 10.0 starts—clearly they’re not everything. The Windy City Invite is one of the most exciting meets all year. The UIC-hosted men’s invitational is a blast. We love women’s regional weekend, but there’s something special about the big, early-season Windy City that is unmatched. This might be the final year for the meet, so if you’re near Chicago, get yourself to the UIC Pavilion for a show. Update, 10/19/18: The location of the Windy City Invite was updated to the UIC Pavilion. The event was hosted at Navy Pier in 2018 but returns to the Pavilion for 2019. Don’t forget Cami Drouin-Allaire did a DTY in 2018, too!